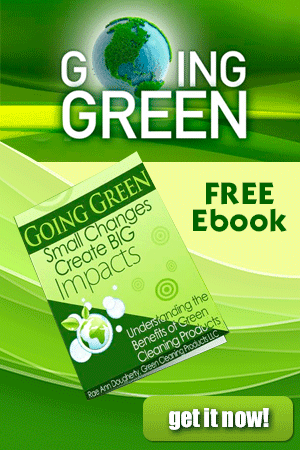 “I am starting a cleaning business and it is going to be green.” This is one of the most common refrains I hear. Congratulations! 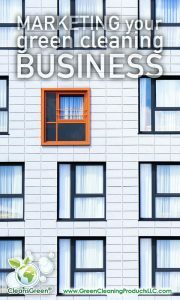 Having a cleaning business is wonderful, but if people don’t know what it is, it cannot thrive. That is where marketing your green cleaning business comes into play. Domestic or Residential: House cleaning involves cleaning people’s homes (normally while they are at work) and may be done by yourself. Commercial: Cleaning offices, manufacturing facilities, and commercial properties are often completed at night and with a team of people. Thus your role is more managerial than on the ground cleaning. Specialized: There are lots of niches to explore, from window cleaning to schools to vehicle cleaning. 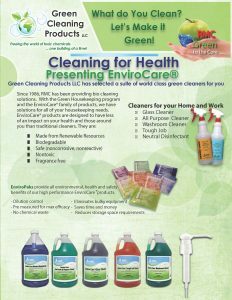 Green cleaning is an up and coming niche. Marketing is how to let others know about your green cleaning business. At its core, marketing is designed to share a brand and service to customers for the purpose of promoting and convincing people to try out or keep using your green cleaning service. Bottom line, the main purpose of marketing is to increase sales and thus the profits of the company. Effectively marketing is all about generating leads. Marketing is not a stand-alone activity independent of all other aspects of the business but rather acts as a support system designed to propagate the brand, message and benefits of green cleaning to your target customer base. It is paramount that your customers believe you are satisfying their needs. Good old fashioned customer service should be first and foremost. Your cleaning business depends on it. Without the trust that results from delivering top quality customer service, anything else done is not worth the time as reputations can be eroded very quickly. 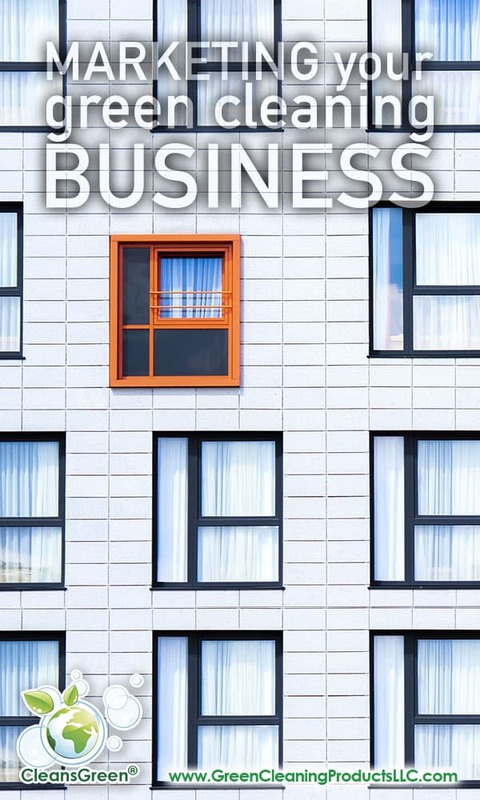 That said, there are the marketing basics that form any holistic program, which includes: conducting market research; creating a marketing strategy; defining target segmentation and marketing strategy; and ensuring your operational practices related to products and services, promotion, price; and distribution are congruent. A growing segment of the cleaning industry is those that focus on providing a green cleaning service. Although it may feel like the target audience is growing, the American environmental movement has been around a long time. 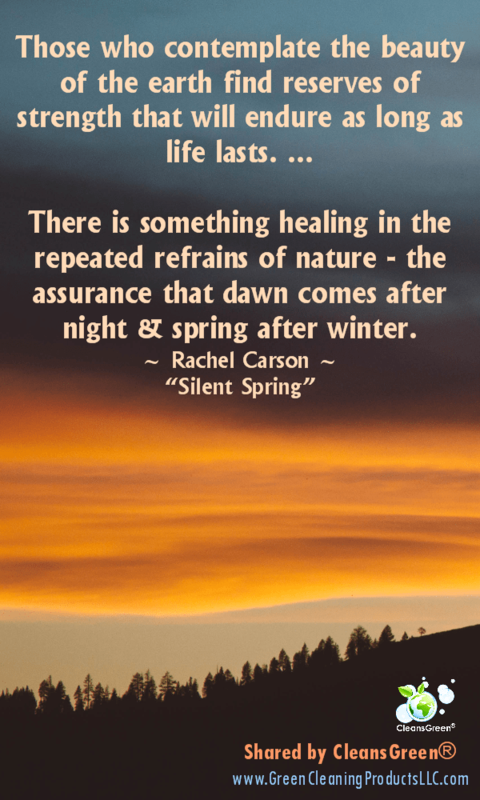 Basically it began on June 16, 1962 (the date of the New Yorker magazine that contained the first of three excerpts from Rachel Carson’s new book, “Silent Spring”). Rachel Carson created a book that changed the world. 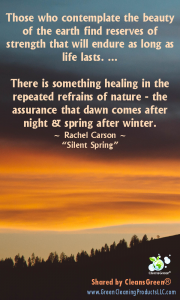 In it she stated, “Those who contemplate the beauty of the earth find reserves of strength that will endure as long as life lasts … There is something healing in the repeated retrains of nature – the assurance that dawn comes after night and spring after winter.” Even today this book continues to inspire environmentalists. For this reason green cleaning is a great target audience to focus your marketing. Within the environmental movement there are multiple target audiences. Each is a potential customer for you. All are interested in keeping our planet a cleaner place, preserving our resources, and because of allergies or a desire for a healthy family are seeking to reduce the amount of toxics to which our families are exposed. In addition to the marketing basics outlined above, it is important to understand your target customer base so you can tailor your message to them. When attitudinal and psychographic green behaviors across consumers are analyzed, consumers may be hesitant to refer to themselves as green, yet they exhibit green tendencies when it comes to their family’s health. Approximately 10 million to 12 million environmental organizations members in the US. The majority, or about 76 %, of these members are over 45 years old. 54% of these members are women. 70% agree they have knowledge and expertise on environmentally friendly products. 91% of consumers purchase green products because they are concerned about their family’s health. 73% often do research to understand the safety of ingredients to which their family is exposed. Though less than half of consumers self-identify as “Very Green,” 56% of all consumers admit they mostly use cleaning products labeled as green or natural for their home. Of course, not every consumer buys with the environment in mind. In fact 14% of respondents identified themselves as “not at all green.” These consumers, according to Influence Central, are more likely to use heavy-duty cleaning products in their homes. Only 16% of this segment follow “earth-friendly.” Not surprisingly, Influence Central reports that 75% of these consumers are less likely to have knowledge or expertise about eco-friendly products. 68% are always seeking out green cleaning products. This has been summarized in the infographic published April 15, 2015 by Direct Marketing News. These numbers provide you some insight in how to craft your message in marketing your green cleaning business. Understanding this is critical in several aspects of your marketing plan including: naming your company, image, and operational practices. First impressions are always the most important as oftentimes it is what sticks. For this reason how you name your green cleaning business goes a long way. Strive for something interesting and catchy to draw the interest of prospective clients since the main task when starting a cleaning company is the business of securing customers. With the top 50 cleaning companies already take up 30 percent of clients in the U.S., according to First Research, a market analysis company run by Hoover’s Inc., you have a challenge. That said when focusing on common perceptions or requirements that clients have when it comes to hiring a cleaning company you have an opportunity to open doors. One of your most important marketing tools is the image you project. For success it is critical to be congruent in every aspect of your business with your name, marketing materials and operational practices. It does no good to claim you are a green cleaning company when you consume rolls and rolls of wasteful paper towels instead of using eco-friendly, reusable high quality microfiber cloths or selecting traditional, harsh cleaning products off-the-shelf. Sadly, despite the “we are ecofriendly” marketing claims made by the traditional cleaning companies, much of this has been found to be greenwashing. 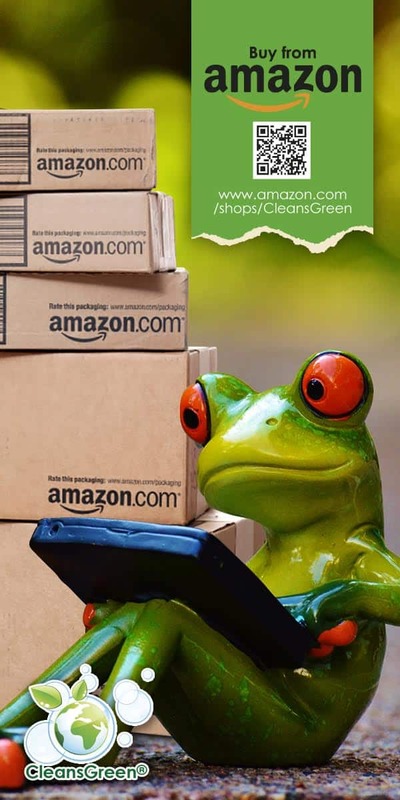 “Deep Clean: What the Cleaning Industry Should be Doing to Protect your Health”, a report released in April 2015 by the national women’s health non-profit, Women’s Voices for the Earth (WVE), exposes how cleaning product companies use the lack of industry regulations as a loophole to keep customers in the dark about how they screen for dangerous chemicals and their overall standards of product safety. According to the ‘Deep Clean’ report, none of the four companies are fully transparent about the criteria included in their ingredient safety standards, making it impossible to compare the quality of any one company’s screening process to another. To protect against these nontransparent, green washing type of claims, it is best to select cleaners that have one or more of the third party certifications available for green cleaning products, i.e., Green Seal, EcoLogo, or EPA’s “Design for the Environment” (DfE). 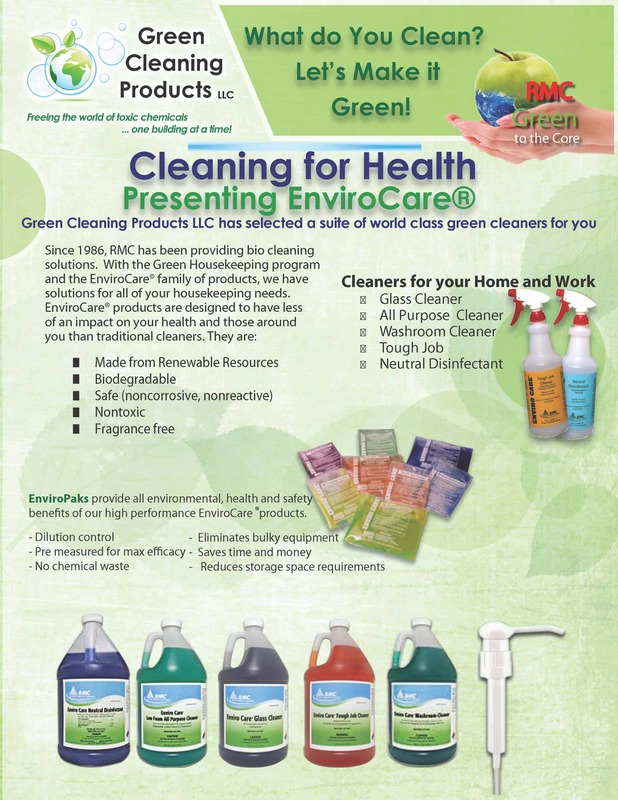 For instance, Green Cleaning Products offers the EnviroCare product line of green cleaners. These have been third party certified. Additionally when purchased in bulk are extremely price competitive. 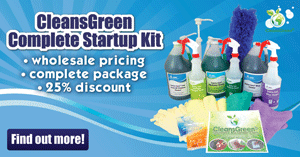 Properly marketing your green cleaning company is critical to your success. In addition to applying the traditional marketing concepts in your business plans, know the numbers, understand who your audience is, and craft your message to cater to the various shades of green of your target customer base.